When wet weather creates leak damage on your home you can depend on the water damage Waller professionals at 911 Restoration of Houston to get the area cleaned up immediately. We want to be able to help you as soon as your water emergency strikes, so we are available 24/7/365. Even if you contact us in the middle of the night we guarantee to arrive within 45 minutes of receiving your call. Once we arrive on the scene we will provide you with a free home inspection, ensuring that you know exactly what is going on with your home before we get to work. Call our water damage Waller staff when you need same day services to mitigate your moisture issues today. When you hire our water damage Waller team you can be sure that we always use top of the line equipment in order to get your home dry as quickly as possible. We use high powered wet vacs, sump pumps, dehumidifiers, air movers and air purifiers to get the living space free of all moisture, that way we prevent residual damages from occurring, such as mold growth. Cleaning the area after it has been impacted by water is also very important, not only to make the space look aesthetically pleasing again, but because outside water coming into the home may be filled with chemicals and other toxins that could be potentially harmful upon contact. 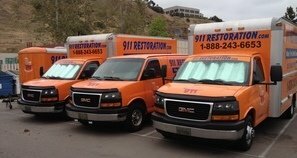 Our water damage Waller staff implements comprehensive techniques that to disinfect and deodorize the entire home, making it a safe place for you and your family to live. Getting the job done without disrupting your life is always our goal when we are restoring a home, so call us today and we will work as efficiently as possible. After a water disaster, it can understandably be overwhelming once things have settled and you realize that you now have to pay for a reconstruction job. Trying to figure out the financial side of the situation isn’t always so straight forward, which is why our water damage Waller technicians are here to guide you through the entire process. We are more than happy to work with all insurance companies, big and small, and will go over your policy with you. We have many years of experience working with all different insurance companies, so we know exactly what information needs to be submitted in order to get you the best coverage possible. 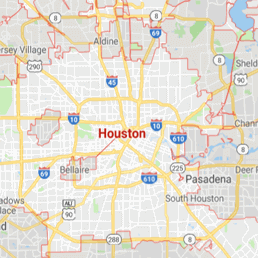 Our water damage Waller agents at 911 Restoration of Houston always want you to feel secure financially, so you can depend on us to offer affordable prices on all of our services, so call us today.